The award-winning SEAT Ateca is a strong challenger in the booming SUV sector which has overtaken most family favourite hatchbacks and estates. 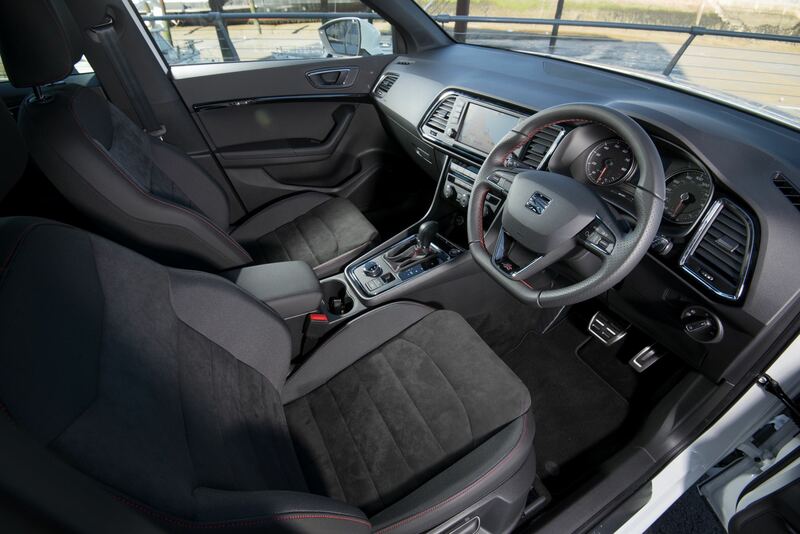 The range is wide, with a choice of 115 1.0 or 150 1.4 petrol engines alongside 115 1.6 or 150 and 190ps 2.0 diesels in five trim levels with or without intelligent 4WD. We have previously tested the 115ps 1.0 litre petrol before and were very impressed but for serious high mileage motorists the 115ps 1.6 TD is potentially a better buy with greater economy, although you’ll have to carefully look at overall running costs with new tax penalties coming in from April 2018. Options on the 1.6 TD SE test car were metallic paint, the eight-inch touchscreen for navigation and information, and self-parking system, adding £1,475 to the standard price. 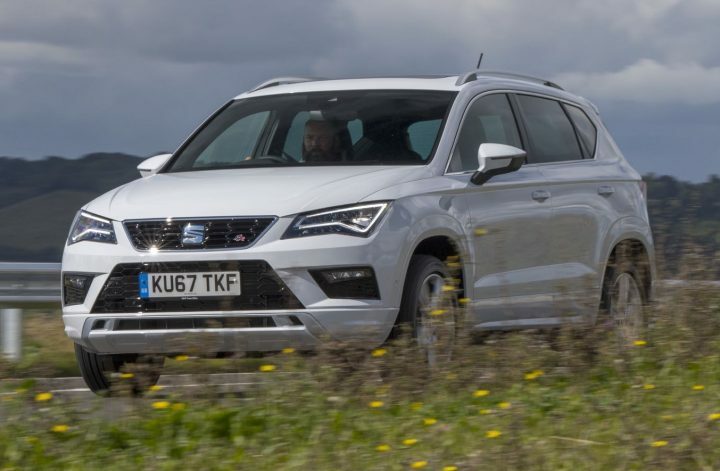 The Ateca SE is a good level of trim while the options on the test car are very useful for most buyers and should be considered. 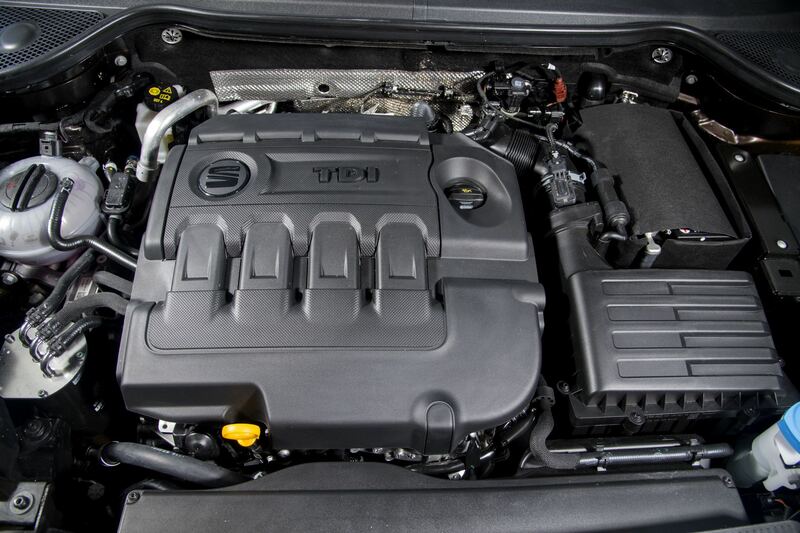 Under the bonnet, the 1600 cc engine is a real workhorse which does not shy away from returning good acceleration, strong mid-range pull if the six gears are properly used and it is particularly quiet cruising at the legal limit. Over a mixture of country roads and some motorways during our test we averaged between 50 and 54mpg depending on traffic but never saw it dip below the lower figure. This is mostly due to the good 250Nm at 1500rpm ability of the engine to slog away from fairly low revs and using the intermediate ratios to be very flexible with a long legged sixth gear close to 30mph/ 1,000rpm. Generally, it was a quiet engine. An light progressive clutch eased the direct changes while the steering was well weighted and had a good turning circle for town use and the brakes showed power and feedback for quick, smooth stops. Secondary controls on stalks and wheel-spokes kept almost everything close to hand but the big touchscreen functions mean you have to take your eyes off the road to operate some of them on the central display, although a useful info-panel between the main instruments directly infront of the driver was much safer. Dials and display were large and clear. I liked the heating and ventilation system to fill the cabin with air, keep it at set values and work away fairly quietly, backed up by powered windows and a big sunroof. Oddments room was very good throughout and I liked the double height boot floor and low level load bed for convenience and practicality if you need to separate muddy boots from clothing. 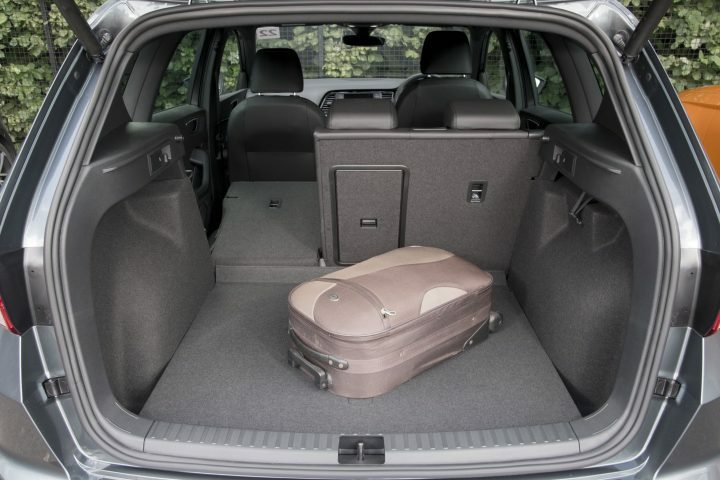 It was easy to climb in and out of the Ateca with good shaped front seats for support and adjustment room and no-one complained of poor headroom. Ride comfort was good and you could just hear the suspension coping and smoothing out the bumps. I think the added weight of the diesel over the smaller petrol has improved the ride and sharpened the handling as well. Body roll was present on tight turns taken at speed but generally it was very composed and never gave a moment’s concern about safety or loss of control. The optional park assist is useful if you’re a short driver and struggle to see the rear corners in particular when manoeuvring and it might save you some body damage and insurance claims but in reality the Ateca is a dawdle to drive and use in urban areas. Waistline is low, windows big with good sized wipers and bright headlights so you shouldn’t have a problem in poor light or weather. 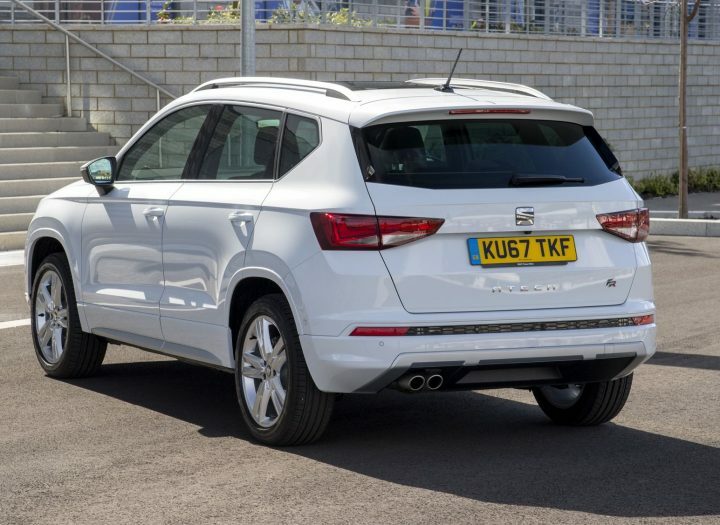 For the higher mileage family which does not need seven seats but values agility, the SEAT Ateca SE 1.6 TDI makes a lot of sense and is a strong challenger to others in the sector, including some in the VAG family as well. Against: Road rumbles, some body roll.